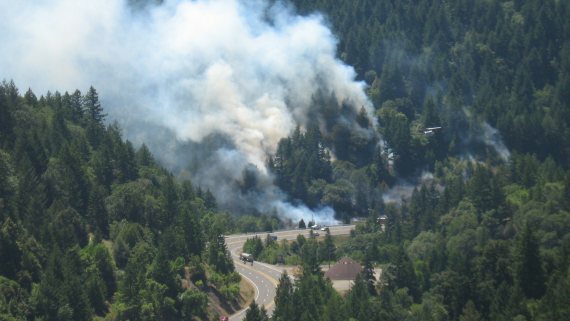 Two fires sprang up Friday between Leggett and Laytonville. The photos above were taken by Jacob Whitney (works at Emerald Technologies) north of Bell Springs Rd near the rest area and Caltrans’ sand house. There was another one further south. Both were about 4 acres and contained by nightfall. The causes have not yet been determined. 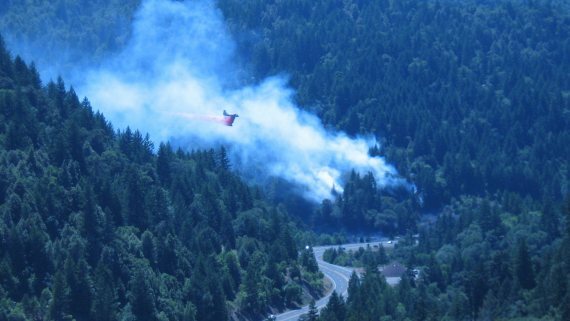 According to KMUD, there is a vegetation fire in the Cummings area, Mendocino Co. Hwy. 101, Mile Post 83. Calfire and locals working to contain fire which started at 2:30 pm today. Renee Selix: Thank you for keeping my home safe while we were away! 🙂 ? Big THANKS to all our volunteers and hard workers. 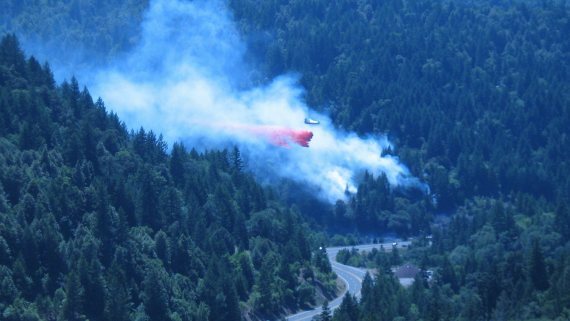 This entry was posted in Fire and tagged 101, Kym Kemp, Mendo, Mendocino. Bookmark the permalink.